We can also setup fully automated radio stations. ..
We can also setup fully automated radio stations. 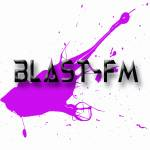 BlastFM Ltd have developed a Robo-DJ for this purpose, copyright pending.